Standing amidst the decrepit house, Sam’s foldout chair wobbled under his feet, teetering over the warped, termite-ridden floorboards. Sam stabilized himself on the balls of his feet, then looped the rope over a large crossbeam. Other than lingering spots of plaster, the roof’s supports were mostly visible. His royal blue rain jacket flexed against the elastic waist as he jerked the rope, testing its steadfastness. Without heat, electricity, or completely constructed walls, it was chilly inside. Thunder rolled in the distance, drowning the sound of groaning planks as he stepped off the chair. He couldn’t see through the boarded windows, but sheets of rain were suddenly pounding the roof, and the ceiling began draining in places. Sam moved the table and kerosene lantern out of one growing stream and turned the knob. The flame rose and cast shadows across skeletal walls. Prison was hard and the sight reminded him of the barred rooms, but at least he was alone here. In prison, the guys were unbearable. How was he supposed to deal with them when they all knew his secret? ‘Hey Pretty Boy’ they snickered as he walked by. ‘Meet me in the showers. We’ll play patty-cake.’ The taunts continued, but he tried to ignore them. One incident was all it had taken for him to lose years of hard-earned respect. He couldn’t go back there. Not now. Damn Simon for rattin’ me out. Why couldn’t he have just kept his trap shut? The relationship hadn’t lasted long, if it could even be called that. Sam had kept it to himself, hoping it would last. Besides, who could he tell… his wife? Yeah, that would’ve gone over well. Simon had stayed silent, too; at least, that’s what he told Sam. But things never work out. Word had gotten around about Sam and the young fish. “Thump…Thump…Thump,” echoed a sound from out front. The warped door opened a crack, squealing as its hinges flexed. “Ka-thump … ka-thump,” the sound continued, now resounding off the loose wooden floorboards like the clop of horse hooves on cobblestone. A boy, no more than ten, stepped into the room with a basketball and backpack, his hair a matted mop of black waves. The boy bounced the ball on the uneven boards again unconsciously. “Hey, mister. What you doin’?” His eyes rose when they found Sam, climbing him as though he were a mountain. “Uhhh…what you doin’ here, boy? Go away.” Sam turned back to the rope and began looping the end around itself. “Ka-thump…ka-thump,” echoed the sound twice more. Sam thought he could hear the floor joists crack under the bouncing ball’s pressure. He ground his teeth, slipped the rope’s end through a loop, and tightened the knot. He let the noose hang free and turned back to the boy. “Get out,” he growled. “Why?” asked the boy, nonchalantly pounding the floorboards again. “What do you want?” Sam demanded. Sam’s eyes went to the corners of the small room, rain leaking from the collapsed ceiling, and the solitary foldout table and chair he’d brought with him a few days before. “I only got one chair,” he announced. “That’s okay,” added the boy, as though interpreting Sam’s complaint as an offer. “You keep it. I’ll use this.” He dropped the ball and retrieved an empty paint bucket from the other side of the room. He plopped down on the upturned bucket with a smile, then scooted up to the table as though awaiting his dinner. “You don’t want to play with me?” asked the youth, crestfallen. Sam harrumphed and pulled over his folding chair, then plopped down in front of the youth. His young eyes twinkled behind cherubic cheeks. “Fine. Give ‘em to me, boy.” Sam yanked the cards out of the child’s grasp. “Uh-huh,” replied Sam as he shuffled the cards, focusing his attention on the sound of plastic-coated edges slipping against one another. “Sam, and it’s the best place I could find conciderin’…” His voice died, and he began dealing the cards. “Yeah, I like that game.” Kaleb flipped a card off the top of his pile and took the trick with small, excited hands. A smile crested Sam’s lips as he watched Kaleb’s reaction. When he realized what he was thinking, he looked at one of the boarded windows, purposefully avoiding the boy. A frown cemented itself on his face. Can’t give into this. It’s wrong. God, I’m horrible. “I’m not sure I can,” Sam muttered and flipped another card. He didn’t even look down, just let Kaleb move the cards to the appropriate side of the table. As the game continued, Sam grudgingly murmured, “You’re doing well,” against his better judgment. “Uh-huh,” Kaleb admitted with a nod. His hair was beginning to friz as it dried. “Oh yeah.” Kaleb took down another hand. The next hand, Sam won. He reached for it and set his fingers on Kaleb’s. The feel of the young boy’s soft skin was unnerving, tempting. Sam flinched from the touch. “Even more reason,” Same muttered and swept the door closed. It groaned and wouldn’t shut completely, but Sam let out a relieved sigh and leaned against it. He was breathing heavily, as though he’d just run a marathon. As hard as it was to resist the temptation, the absence of Kaleb immediately began eating at him. Should he call him back, pull him back inside? It was a longing that made him question which was worse, the action itself, or the feeling after avoiding such things. If they knew, the boys in the joint would never let him live this down. Just something to add to the fire, a bit more kindling before they skewer me and throw me on top. “That’s exactly why this can’t continue,” he whispered. After a few minutes, he rose to his feet trembling, unsure when he had slid to the floor. Sam returned to his room and weighed the noose with his eyes. I got nowhere else. Clare don’t want me. The boys'll just jack me. And I can’t blame them either. Stepping onto the chair, Sam fit the rope around his neck but fumbled with the short, gortex collar of his jacket. The two materials chafed on one another. It wouldn't matter, but irritation won out. He slipped out of the noose and set the jacket on a carton with a few of his other things. Taking a deep breath, he climbed the stool once more and slid the noose over his head. The skin around the rope tingled anxiously. God, give me strength. Kicking the chair back, Sam jolted against the strain of his own weight. His neck snapped to the side with a feint ‘pop’. Another torrent of rain fell along with him, and the rivulets streaming through the house grew as though a dozen ghosts had chosen this minute to piss in Sam’s skeletal resting place. A moment later, the door squealed as small footsteps passed back into the room. “Hey, mister. Hey, mist …,” called Kaleb as he rubbed his cold arms, but his youthful tone died like the startled chirp of a cricket. The rope creaked while Sam’s body swiveled in place, the sound echoing over loose floorboards like wind through desert dunes. Kaleb peered up at the man, watching with morbid curiosity. Sam’s rotating body sent shadows across the dark room as though the kerosene flames were hosting a puppet show. In the flickering light, Kaleb glimpsed something printed on the back of Sam’s t-shirt. ‘Stanton Security’ it advertised in the same blocky print as the jacket, as though the letters themselves had lost their flare for life. A chill sped down Kaleb’s spine, and he rubbed his crossed arms for warmth. Rain water dripped off his soaked jeans and shirt and onto the warped boards. Kaleb’s gaze drifted from Sam’s rotating body and scanned the room. Every few seconds his wary gaze returned to the hovering man as though making sure he was still dead. Finally, the boy's gaze landed on something, Sam's blue rain jacket. Kaleb grabbed it, stretching the front side to clearly discern the emblem stamped over the left breast. Something long, black, and heavy rolled from underneath and clattered to the floor with a double thud. Kaleb leaned down and picked up the foot-long flashlight. His eyes widened as he hefted the weighty object. He flicked it on and illuminated the emblem on the jacket. It was of an axe and pick crisscrossed in front of barbed wire gates. Kaleb shivered again, glanced back at Sam apologetically, and slipped his arms into the jacket. Light in hand, he retrieved his basketball and trudged back into the storm without another look. Rain quickly spattered a larger logo on Kaleb's back, 'Stanton Correctional Facility'. The basketball thumped wetly as the boy dribbled on the pavement outside. The door creaked closed, sealing the ghostly tomb. Creative writing has always been a passion for Weston Kincade. He’s helped invest in future writers for years while teaching English and has a Bachelors of English from Radford University. In his spare time he writes poetry, short stories, and has completed two novels, a Science-Fiction/Fantasy entitled Invisible Dawn and a paranormal coming-of-age story, A Life of Death. 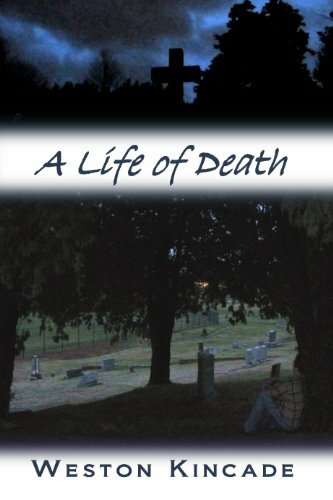 A Life of Death is also being released as a free, serialized audio-book on October 17th at podiobooks.com. 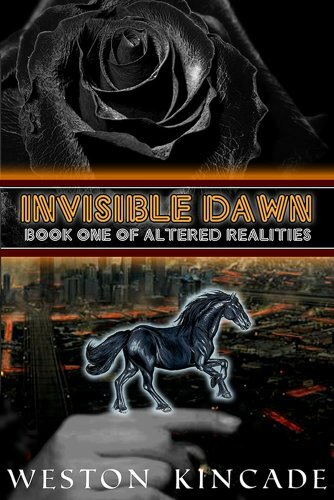 He is currently working on the sequel to Invisible Dawn in the Altered Realities Series and a cooperative anthology of short stories titled Strange Circumstances with two other novelists. In addition, he has a website and Facebook fan page. Both books have received great reviews by publicly trusted literary critics and readers. 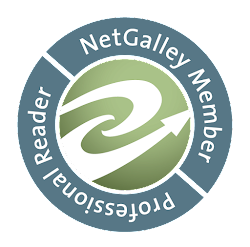 They can be found at Alchemy of Scrawl, Books and Things, Geeky Girl Review, and Indie Books Blog where an interview with Weston can also be found. Many are also available on Goodreads.com and Amazon.com. He is also currently involved in a Halloween Blog Hop with eight other thrilling authors, giving away free ebooks and signed paperbacks. He can also be found on twitter @WestonKincade. As the wordsmithing continues, Weston enjoys finding great ideas in the oddities of mundane life and loves stretching the boundaries of human understanding. Please leave your comments below. I love hearing from you.